I have also written a book about my adventures over the last few years. 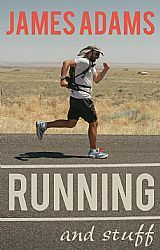 Running and Stuff is available on amazon. Ultra Running Training – keep it interesting! Sticking to a structured ultra marathon training plan, running the same routes at the same times of day can get really monotonous and hard to keep up. You see the same views, jump over the same puddles and if you’re not careful it can become more like a chore and less like fun. With a long lead up to a race, like the Ultra Tour of the Peak District (90Days) or The Ultra Tour of Suffolk (5 months) that original training plan can seem like a curse.. or worse still… boring. Before you tear up that carefully crafted training plan and slam dunk it into the nearest bin just take a moment to think. Try taking your runs to different places, somewhere you’ve not been before. This new experience will boost your enthusiasm, your confidence and it’s always great to continue the search for “the perfect trail”. You never know what you might find, perhaps a view you never knew about or a hill that’s much better for hill reps than the ‘bump’ that you were believing was a hill. Trail running is meant to be fun, it’s meant to test you and let you forget the everyday stuff. It’s not just excitement that new routes can bring you, venturing into the unknown will help hone your navigation skills, forcing you to use that map & compass instead of taking it as a token on your regular trail run. Perhaps it will bring into perspective where your nav skills are, allowing you to top them up where needed. Don’t forget, you can save minutes on race day easily by sharpening that nav – it’s not just fitness that will affect your time! If you’re limited to where you can train and going somewhere new is more tricky, there are other ways to freshen things up. 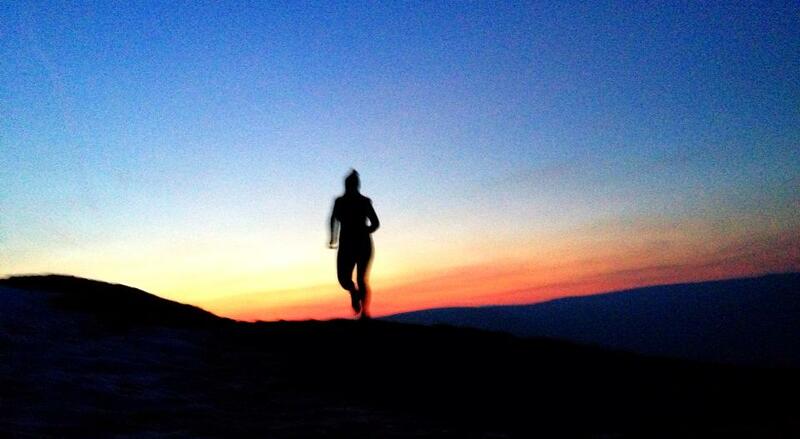 Why not run your route in the other direction, try it in the dark and at other times of day. Find a running partner, run with your dog, your neighbours dog (ask them first) – listen to an audio book, learn a language … you get the picture. So next time you’re feeling the boredom monster knocking at your door, think of something new for your next run, it’ll put a smile on your face and a spring in your step!